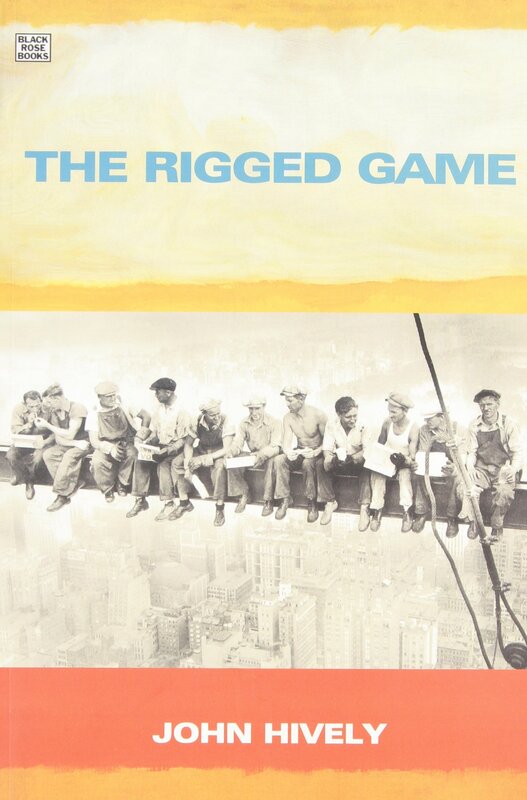 The economic and political game is clearly rigged in favor of wealthy, and its getting worse. This is a recipe for economic disaster, and which has been closely followed by major Wall Street politicians, such as Ron Wyden, Barack Obama, Mitch McConnell, Orrin Hatch, and George W. Bush. 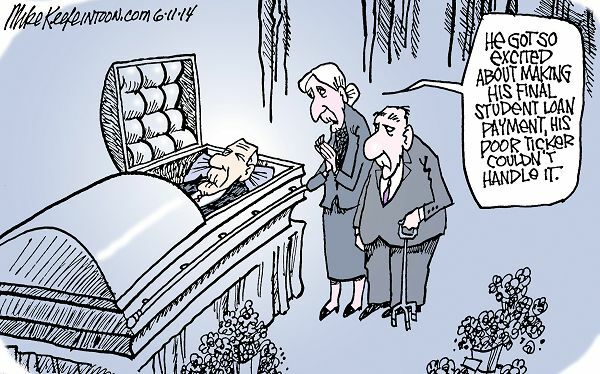 The richest are getting richer, and their doing so quickly, and at the expense of the rest of us. For the most part, control of the levers of political power is how they have gained their money. It’s that simple. The rich control the Republican and Democratic parties, and with them, they control all three branches of the federal government, as well as most state and local governments. And that’s just in the USA. 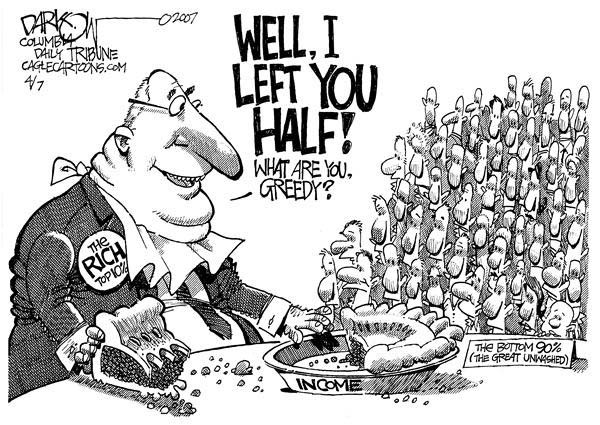 In early 2016 Oxfam reported that just 62 individuals had the same wealth as the bottom half of humanity. About a year later Oxfam reported that just eight men had the same wealth as the world’s bottom half. Based on the same methodology and data sources used by Oxfam, that number is now down to six. 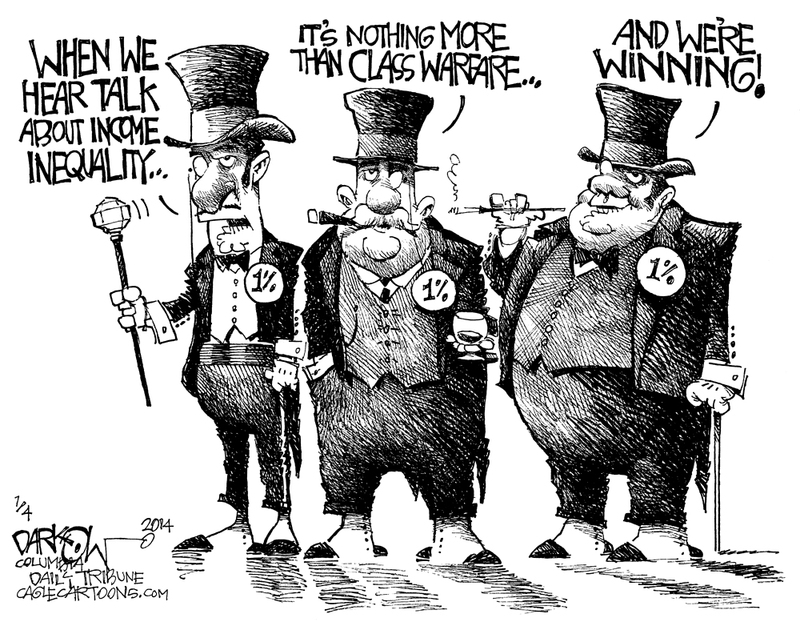 There is a reason why the rich, and in particular the super rich, continue to get richer. The politicians of both major political parties work as agents on behalf of their billionaire benefactors, whether its Republicans such as Mitch McConnell, or Democrats like Ron Wyden. This is why the poorest half (and more) of the world has continued to lose wealth; and the very richest individuals—especially the top thousand or so—continue to add billions of dollars to their massive fortunes. Inequality deniers and apologists say the Oxfam methodology is flawed, but they’re missing the big picture. Whether it’s six individuals or 62 or 1,000 doesn’t really matter. The data from the Credit Suisse Global Wealth Databook (GWD) and the Forbes Billionaire List provide the best available tools to make it clear that inequality is extreme and pathological and getting worse every year. As of Feb. 17 of 2017, the world’s six richest individuals (all men) had $412 billion. Just a year ago, on March 1, 2016, the world’s six richest men had $343 billion. They’re the same men today, although slightly rearranged as they play “king of the hill”: Bill Gates, Warren Buffett, Jeff Bezos, Amancio Ortega, Mark Zuckerberg, Carlos Slim Helu (with Larry Ellison jockeying for position). The wealth of these six men increased by $69 billion in just one year. According to a new report, which can be accessed below, the poorest 50 percent of the population has seen their share of wealth decline. And the richest 500 people own more wealth that the bottom 70 percent. Why do the student loans keep piling up? 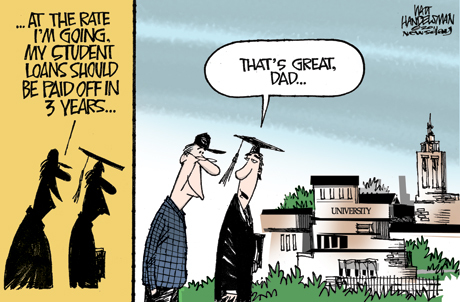 Most student loans are guaranteed by the federal government. So there’s no risk to investors. It’s free money. The federal government pays the interest on the loans to the investment banks even when the students are still in school. Once the students are out of school, they are required to pay on the interest and the principal to the bondholders. This is how your student loan payments mostly go directly into the pockets of the 1 percent via these bonds. Some of the proceeds go to the service providers. This increased the return on investment while doubling the burden on the 99 percent who take out new loans to finance what is called the American dream, but it’s really becoming the American nightmare. This is rightly called income redistribution. The doubling of student loan interest rates benefited smaller Wall Street investment banks, as well as such Wall Street heavyweights as JP Morgan/Chase and Goldman Sachs. Loan originators and investment companies receive billions of dollars in fees every year from new student loans. 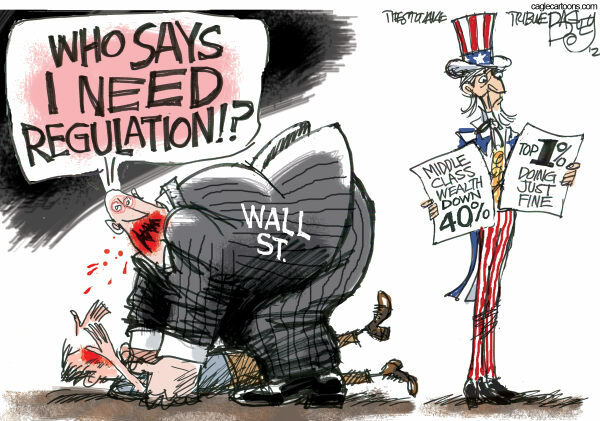 Both JP Morgan/Chase and Goldman Sachs are publicly traded corporations. Both corporations are listed among the Dow Jones Industrials, and both keep their stock prices rising, in part, to the securitization of student loans, which benefits their affluent shareholders. The more interest students are forced to pay, the higher the bonds can sell for, and the more attractive they are to investors, especially since the government guarantees them. (Carrillo) In this way, America’s higher education policies have been legislatively constructed so as to redistribute the income of the 99 to the 1 percent via higher student loan debt. Wall Street banks also rigged the game even more against student loan borrowers by having the government make it almost impossible to discharge student loan debt through bankruptcy. 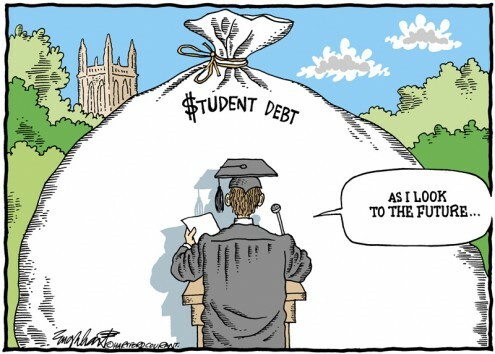 Students are tied to the debt until it’s paid, or they die. This leaves less money for students to spend when they graduate, forcing them to curtail their purchases, and weakening the economy in the process. Bernie Sanders was right when he declared the government could provide free public education to its people. The money is there, and always has been. During the economic crisis of 2008-2009, the federal government and the Federal Reserve gave out tens of trillions of dollars to rich investors, investment banks and hedge funds. Politicians called these actions “quantitative easing” and “bailouts.” (Irvin) See The $26 Trillion Bailout to Save Incompetent but Rich Investors-JohnHively.wordpress.com. If trillions of dollars to bail out the rich are there whenever they need it, why isn’t that money also available when the rest of us need it? The answer, of course, is simple. Like many other issues, student loans are a corrupt, financially rigged game that shows how the government acts as a conduit in redistributing income from the 99 to the 1 percent when it doesn’t have to. Just follow the money and you will know who is corrupting your government. On February 17 2017, the US senate will resume its duties; one of which will be to confirm or reject Neil Gorsuch as President Donald Trump’s choice to be the next US Supreme Court Justice. 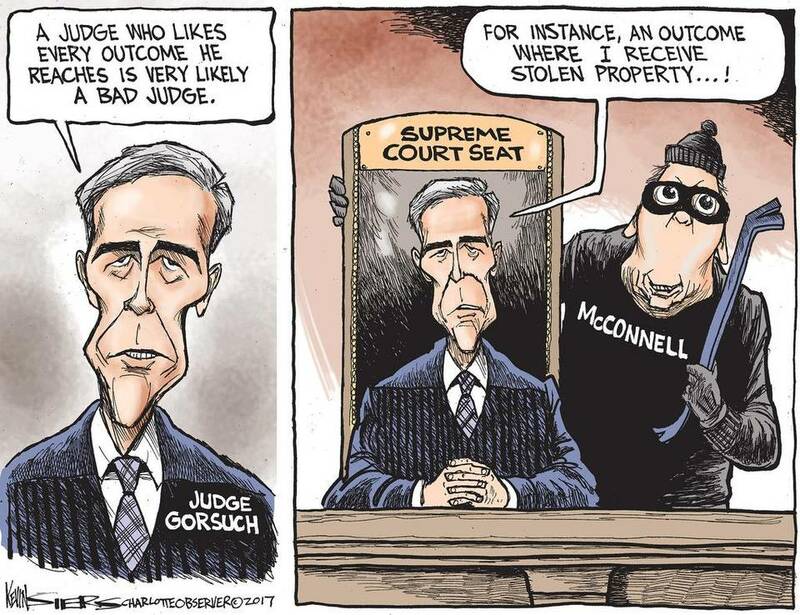 Several days ago, the Guardian reported Trump had urged Wall Street Senate Majority Leader Mitch McConnell to eliminate Democrats potential use of the filibuster to stop Gorsuch, which is the so-called nuclear option. The story provided no analysis, and for a good reason, which I’ll get to below. Anyway, Gorsuch needs sixty out of 100 possible senate votes in order to be confirmed to the post. The nuclear option would eliminate the sixty vote threshold, by instituting a fifty-one vote threshold. The Republicans hold fifty-two seats in the US senate, while the Democrats hold forty-eight. That means eight Democrats must vote to sustain Gorsuch’s nomination, or the candidate will fail. If Gorsuch fails to get sixty votes, the Democrats can filibuster his nomination, putting an end to it, unless the so-called nuclear option is used by Republicans. That’s not going to happen. 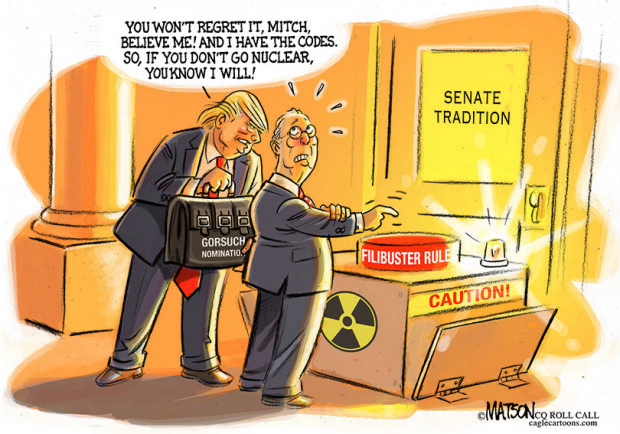 The nuclear option would mean the end of the filibuster in the US senate. 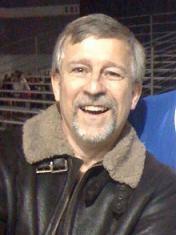 The filibuster has been used to ensure a sixty vote majority is always needed to pass any legislation. The result has been years of gridlock. Politicians of both major political parties have abused the filibuster over the years, so as to ensure they can fail to solve the problems that have perplexed the nation, and have a ready made excuse for the folks back home. Once the sixty vote threshold is eliminated, however temporarily, a simple up and down vote for Gorsuch can take place. 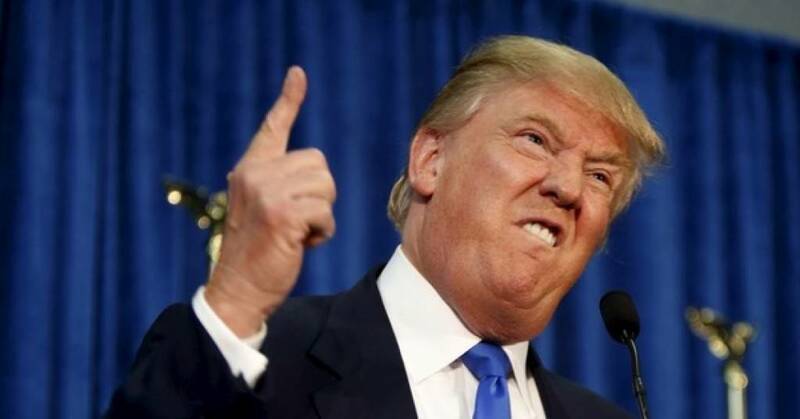 However, Republican voters might get a bit angry the nuclear option isn’t being used for their issues. The Republican Party establishment, with control over the white house and both houses of congress, could easily end legalized abortion. That’s what their base wants them to do. However, doing so would eliminate abortion rights as a wedge issue with which to manipulate the emotions of grassroots Republicans, and divert their attention from other things, such as passing trade treaties that make it easy for US corporations to export US jobs overseas, and redistribute the difference between the older higher US pay and the new lower foreign wages to the 1 percent via higher corporate profits, share prices and surging dividends. Likewise, the Democratic establishment will not want the nuclear option used. Then they’d need to please the grassroots of their base for a simple up and down vote can occur over numerous issues that conveniently cannot reach the sixty vote threshold. This includes a vote for amnesty of undocumented immigrants. A vote for the Dream Act can occur. A vote for a renegotiated NAFTA can take place. A vote to raise tariffs on US goods manufactured overseas and exported to the United States can occur. A vote to raise the minimum wage would be a great opportunity. A vote to rein in the excesses of Wall Street can be had. A vote to tie CEO compensation to corporate crimes can take place, such as corporate money laundering of Mexican drug cartel money. The Republican and Democratic establishments, which are the major corporations, Wall Street executives, and billionaire investors who control the politicians of both political parties, will not want to see an aroused Republican base demanding simple majority votes on issues dear to their hearts, and which have been carefully cultivated by the corporate media. That would be against the financial interests of the establishment members. So, too, would the nuclear option be against their interests. Like the conservative news media outlets, these issues are things the Guardian editors dare not mention. The Guardian is regarded as a liberal newspaper, and so the aim of the story is to raise the interest of liberal readers. However, the first duty of any editor is to edit and omit all news stories with a view to what the news ought to be, and that is closely related to the second duty of an editor, which is to never offend advertisers. The advertisers in major media news outlets are largely politically and financially powerful corporations. The loss of their advertising dollars would be a sharp blow to any news media outlet, such as the Guardian. The Guardian editors must walk a tightrope; keep liberals reading, while pleasing major corporate advertisers. So expect the Democratic establishment to come up with at least eight Wall Street senators willing to vote for Gorsuch to avoid the nuclear option. Expect Wall Street Senator Ron Wyden to be the first to cross the aisle on behalf of Gorsuch to avoid raising the hopes of Democratic and Republican voters everywhere should the nuclear option be used. Texas and Kansas are the homes of low taxes, low wages and fewer regulations. California is the state of high taxes (especially on the rich), high wages and more regulations. According to conservative economic gospel, Kansas and Texas should be outperforming California. However, the reality is the opposite. California easily outperforms Kansas and Texas and any other states that are low tax, low wage, and fewer regulations. Robert Reich explains why in the video above. On the other hand, Minnesota is a higher tax state than Wisconsin. Guess which one is performing the best. You bet. It’s Minnesota. Forbes magazine listed Minnesota No. 9 in its 2014 ranking of best states for business, even though it had a higher tax rate than Wisconsin. In this same ranking, Wisconsin rated number 32.